Whether for brunch, lunch or to unwind after a long day, this Strawberry Peach Sangria is refreshing and fruity. 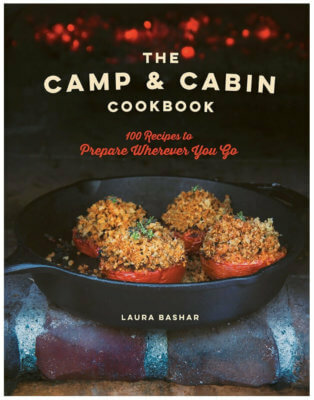 Now that the weather is warming up, it is time to sit back, light up the bbq, invite friends over and make a pitcher of something yummy to drink. And with fruits becoming more readily available, why not enjoy a sangria! Not a fan of red wine? Go lighter with white wine. 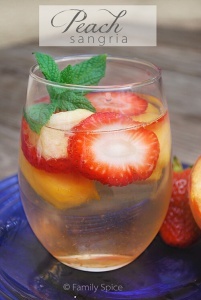 I first tried this Strawberry & Peach Sangria one Bunco night with the girlfriends. Thank you Marianne! I do not like wine, personally, but I fell in love with this drink! The beautiful peaches were so aromatic, I soon found a fork, ignored the game and started gobbling down the wine-infused fruit! Let’s just say, I came home very happy that night (luckily, I only had to cross the street to get home!). The next night, I happily made a pitcher for me and my hubby. He calls it a girly-drink, but tasty. I call it divine!